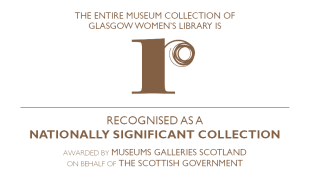 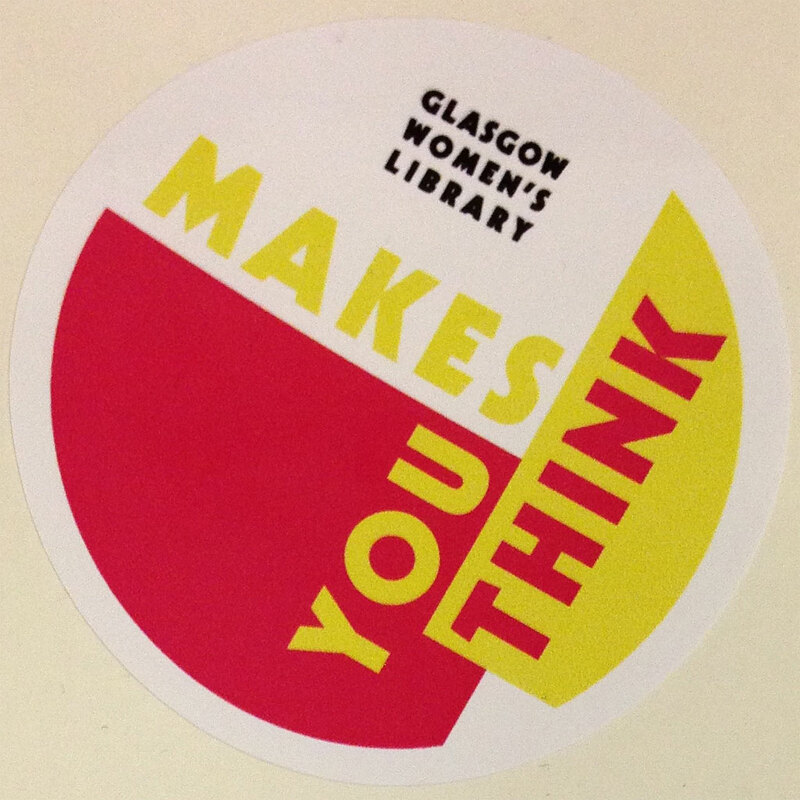 Glasgow Women’s Library Makes You Think – and our stickers add a splash of colour to your notebook, bag, wall, or anywhere you place them! 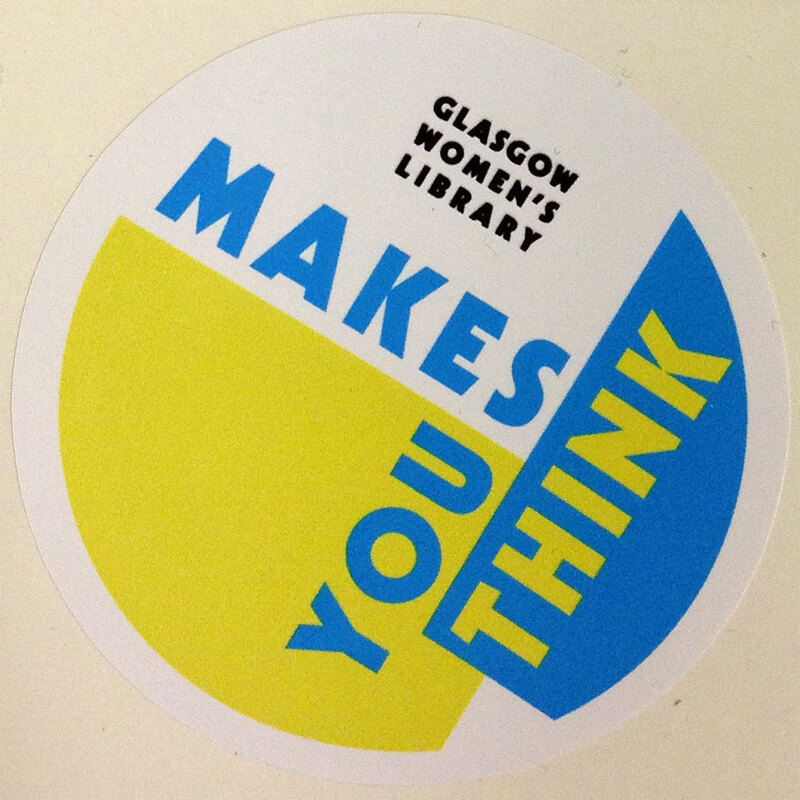 Designed for GWL by Maeve Redmond and Sophie Dyer as part of our ‘GWL Makes You Think’ campaign, these 7cm stickers are a bright, bold and striking way to show your support for Glasgow Women’s Library. 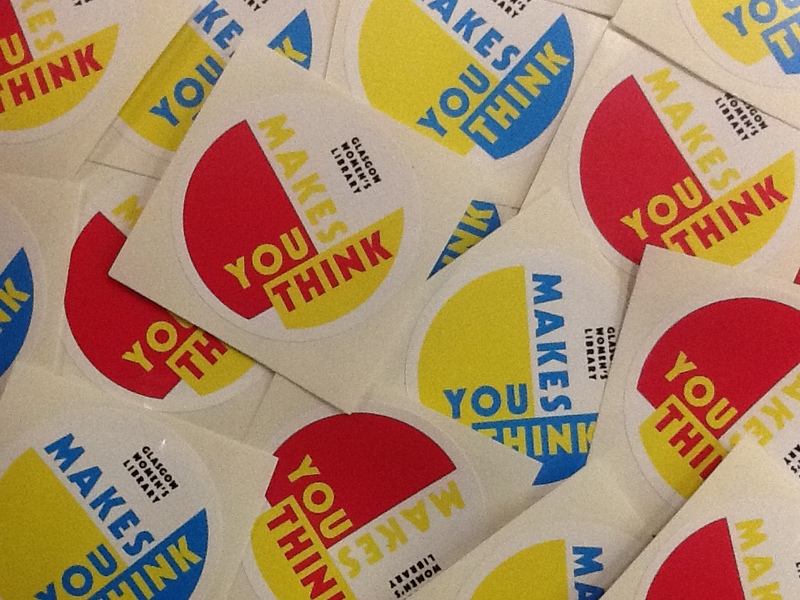 Just £1 each (including postage & packing*), these stickers are available in two colour combinations: pink and yellow, and blue and yellow. 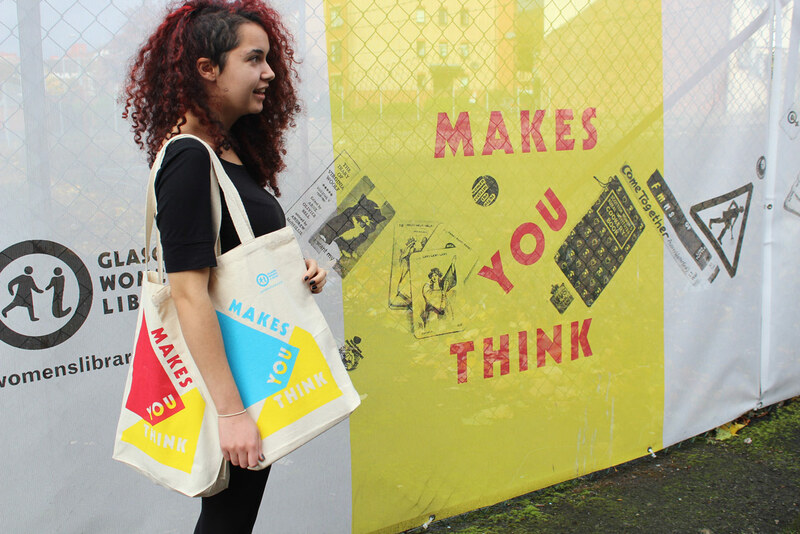 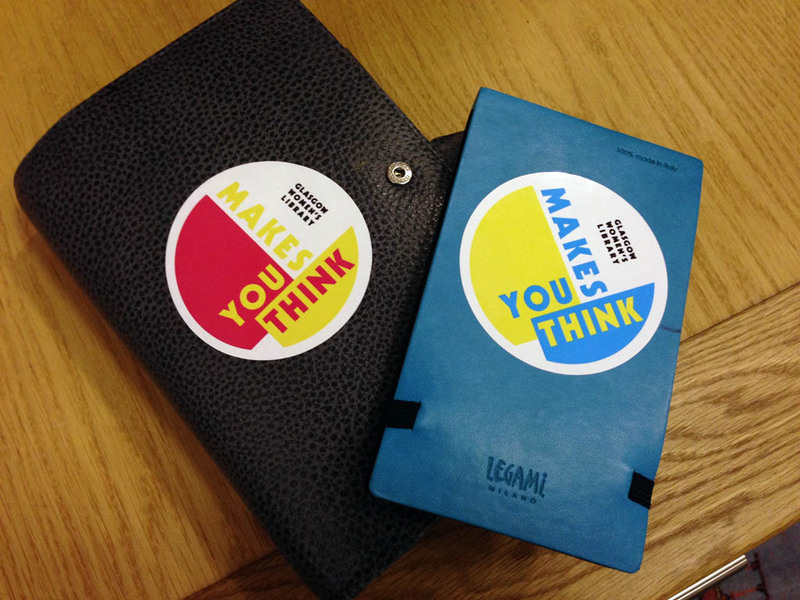 We also have Limited Edition ‘Makes You Think’ tote bags available. 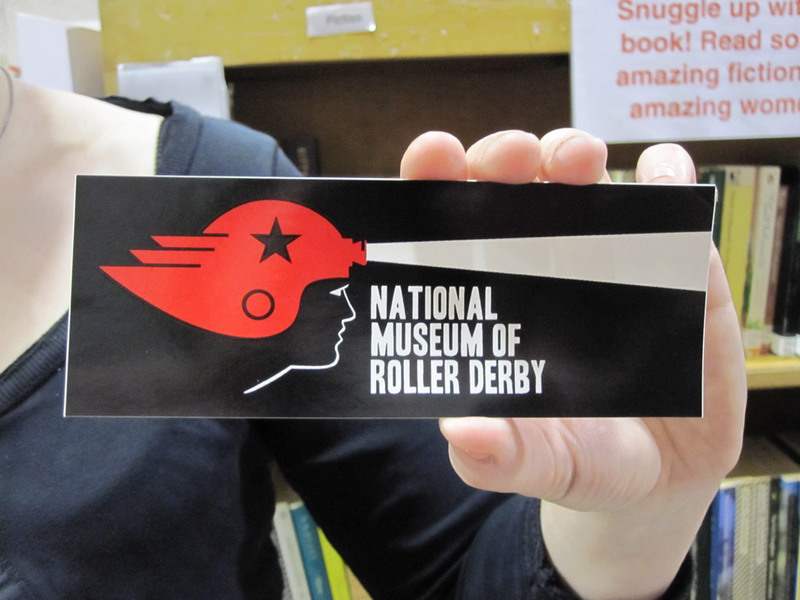 These stickers are also available to buy at GWL.